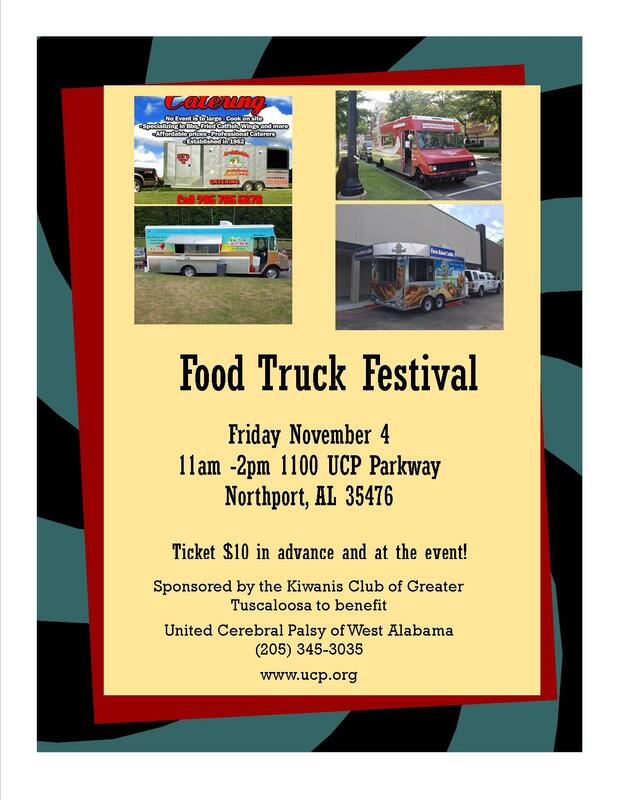 Join us for a Food Truck Festival on Friday, November 4 from 11 am to 2 pm at 1100 UCP Parkway, Northport, AL 35476. 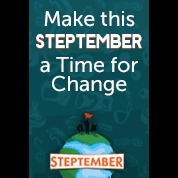 Tickets are $10 in advance and at the door. 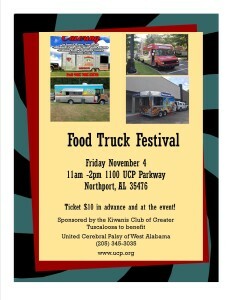 The event is sponsored by the Kiwanis Club of Greater Tuscaloosa and benefits UCPWA.